Lucapa Diamond Company has announced the outcome of the first “historic sale” of exceptional diamonds under Angola’s new diamond marketing policy. All in all, Lucapa sold seven large and top-quality diamonds weighing a total of 498 carats from the Lulo diamond mine. 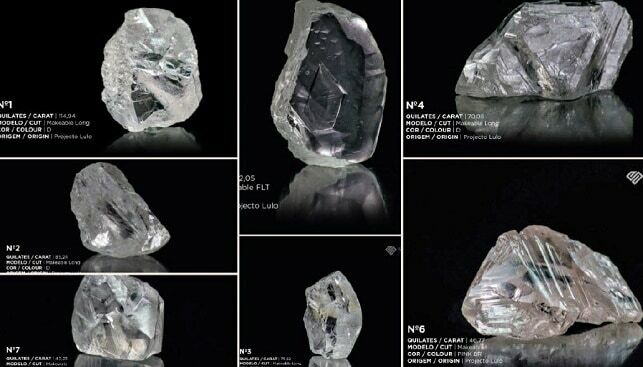 The electronic tender was organised by Sodiam in Luanda and achieved a total sales price of $16.7 million (an average price of $33,530 per carat). The latest tender has brought the total sales of Lulo diamonds to date to $141 million at an average price per carat of $2,105. According to the company, “the exceptional sale prices achieved for the Lulo diamonds reflected the highly-competitive bidding from leading international diamantaires and large stone manufacturers from eight countries that participated in the tender”.